For my entire life, my mother has hoarded food. Not like the “hoarders” on TV, for sure, but as long as I can remember, she has stored food in the house like she was expecting an imminent extended famine. (If the characters in The Road had stumbled onto her place, they could have lived there for years.) In all fairness, my parents always worked hard to provide healthy food, including loads of fresh and preserved vegetables and fruit, usually from our own garden and orchard. My mum froze green beans and sweet corn, canned peaches and tomatoes, dried apples and plums, and stored carrots and potatoes in the cellar. We were vegetarian, and ate lots of nutrient-dense veggies and fruit, along with vegetarian protein sources like “gluten patties.” (Yes, really. Blech.) She also kept huge amounts of dry goods (i.e. non-perishables) in the pantry; most of those un-foods were some sort of concentrated carbohydrate source, like grains or legumes. My mother has always been very active: hiking, skiing, and traveling to awesome places like Peru, Nepal, and Tanzania. She has never been seriously overweight, but like so many folks these days, she was aware that she’d probably be healthier overall if she were a few pounds lighter. But shoot, losing ten pounds is hard when almost everything you eat turns to sugar in your body (and insulin jams those calories into long-term storage). And changing the way you eat is even harder when you’ve got enough carbohydrates in your pantry to sustain you for years. I gave up being vegetarian over 10 years ago, and my own diet has continued to evolve. The more I learned about nutrition, the more I wanted to learn – and to share with people I loved. For years now, I’ve been sharing my nutritional views with my Mum, but it mostly fell on deaf ears. After all, what self-respecting parent actually takes advice from their own kid? Nonetheless, with my constant support (barrage? hounding? ), she started to make some small changes to her dietary habits. She ate fewer sugary desserts, relied less on cereal and bread, cut out vegetable oils, and reduced her dairy intake. Last fall, I sent her an early copy of Robb Wolf’s book, The Paleo Solution, and she called me the day after she received it. “That Robb is a really, really smart guy”, she says to me. “Yes, Mother, he is.” Sometimes, it just takes some third-party validation to get your point across. I spent the next few months reviewing and reiterating Robb’s recommendations with her, and could tell I was gaining some ground. For the first time in 35 years, she started eating a little meat, eased up on the grains, and ditched dairy altogether. On January 1st, in a giant step forward, my mother (and sister) took on the Whole30. For my entire life, my Mum has lived on mostly carbs, since the same “healthy” principles that had her reduce her meat intake (to zero) also sang the praises of whole grains and legumes as “necessary” carbohydrates. If you’ve read Robb’s book or been to one of our Foundations of Nutrition workshops, you know that you can live on mostly carbs the way a cow could live on grain – you’d survive for a while, not be very healthy, and get nice and fat. (Well, my Mum never got fat, but she did complain of those stubborn “last ten pounds”, and she wasn’t feeling as awesome as she wanted to.) Part of my advice to her in preparation for her Whole30 was to clean out her pantry and get rid of the junk – the cookies, chocolate, and other unsavory characters in the pantry. But my Mum is pragmatic and frugal, and throwing things away, even if they’re overtly harmful, is simply not what she does. So… I didn’t have much hope that she’d actually clean out the pantry. Dense (animal) protein sources and some dietary fats stimulate leptin (satiety) and suppress ghrelin (appetite), telling you that you’re full and no longer need to keep eating, but a high-carb meal elevates ghrelin (above baseline) in a few hours, making you more likely to overeat the whole-wheat pasta or brown rice at your next meal. Which means you store those excess carbohydrate as body fat, and do it all over again a few hours later. A vicious cycle, right? Rodents like hamsters are often chosen for these kinds of studies, since their behavior with food directly reflects the underlying mechanisms of intake regulation: an “appetitive phase” (seeking food), and a “consummatory phase” (eating food). Ghrelin and NPY, which play roles in the appetitive phase, tend to cause animals – and humans – to eat more. In hamsters, a rise in ghrelin (like that observed several hours after us humans eat a high carbohydrate meal) causes increased foraging for food, and subsequent eating and/or hoarding. 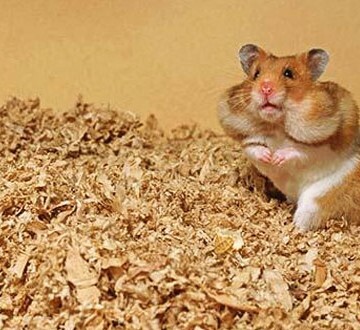 If the hamsters are fat, they eat a little less but still hoard lots of food. If they have been recently food-deprived, they eat more. It seems that their “energy flux” determines how much food they will eat or hoard. Here’s a profound sentence from a recent paper I read (about hamsters): “That is, neuropeptides might trigger food-seeking behavior and, if the food is readily present requiring little or no effort, then the consummatory phase would proceed automatically.” Got it? Regulatory hormones like ghrelin drive you to seek food, but if it’s right there (in the pantry) and requires no effort, you may just eat it… “automatically”. Back to my mother. Her historical reliance on dietary carbohydrate and complete lack of dense animal protein sources (and enough healthy fats) left her with the constant urge to “seek” food. She was smart enough – and had enough self-restraint – not to automatically overeat… so instead, she hoarded food. Like the hamsters, her hormonal response to the food she was eating (constantly elevated ghrelin and NPY and suppressed leptin) was literally compelling her to store food, because her dietary choices were telling her body to get ready for the coming famine. Fast forward to last night. My mother’s Whole30 is officially over, and I asked her how things were going. She said it was hard to eat meat at first, but that she’s tried some new recipes and is really enjoying some of them. She said that she’s feeling “cleaner”, that she has much more energy, and that she doesn’t crave sugar anymore. She said that she’s not hungry all the time like she used to be. And… she says that she has lost those 10 stubborn pounds. But then, the real kicker: “For the last few weeks, I’ve gone into the pantry every couple days, and thrown a bunch of stuff away. I’m never going to eat that junk, so I don’t want it in my house. I’ve gotten rid of a LOT of stuff. And I’m going to keep going.” I told her I was proud of her. What I didn’t tell her is that now that she’s getting enough dense protein and healthy fat, leptin is doing its job of satiating her (hence her lack of nonstop hunger and vicious sugar cravings). And since what she’s eating isn’t all becoming sugar in her body, her ghrelin levels aren’t unnaturally high before each meal. With lower ghrelin levels and a brain that can actually hear leptin’s satiety message, she, like an active, well-fed rodent, no longer feels compelled to hoard (or overeat) food. I could have told her that last bit, but I didn’t. I just didn’t want to make her feel like a hamster. 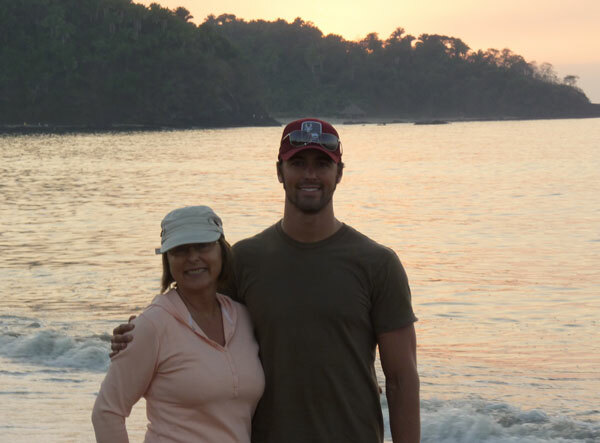 Dallas and his Mum in Mexico, Christmas 2010. Author’s Note: I realize that there is no actual, scientific basis for these comparisons or conclusions. I just thought it was interesting… and kinda funny. Great stuff! Loved your author’s note. Congrats Dallas! I have been working on my Mum for a few months now (I waited til after the holidays, I figured that would have been completely futile). It is encouraging to know that I have more hope sending her a copy of Robb’s book for a little 3rd party verification. Dallas, Congrats to your Mom. We need to follow her example and toss the stuff we no longer “need”. My mother is a simple woman. If I forwarded this to her, she would think I was crazy and not understand any of the science-y stuff….BUT she is coming down for a visit in March, and I’m planning on sitting down with her to challenge her to the Whole 30 – which IS simple in every way. The only hard part is DOING it. BTW – your mom is one beautiful hamster! You totally just described my in-laws pantry. STUFFED with INSANE Amounts of stuff. Seriously…at my last count they had 12 boxes of cake mix. TWELVE! This sounds a lot like people in my life. I get such a look when I say that I don’t eat grains – gluten and dairy people seem to ‘get’ but not grains, I sometimes explain why but most times I don’t as peoples eyes tend to glaze over when you start talking digestion and hormones. I wish everyone would read Robb’s book, understand it and implement the changes. Cheers to another relevant Whole9 story! Great story and explanation on how the ghrelin/leptin cycle works. I have been working on my parents for years but they say if the higher fat, lower carb, no grains idea was based on science then the government would be touting it. Welcome to Truman era trust in government guidance. I am so glad you explained the ghrelin/leptin cycle because I have found myself “almost” subconsciously foraging. I am in the transition phase from night shift to day shift and wake up in the middle of the night starving and an inability to fall asleep. I ate the left overs from the kids pizza last night at 3 am because it was quick and easy to eat. I knew it would hurt today (it did) and I said to myself that I shouldn’t eat but I did anyway. I don’t blame the ghrelin or NPY but it is great to know what is going on in my body that makes bad choices a little easier to make. Knowing your enemy is half the battle and this awareness will help in the fight. I’m in the same boat as Dallas. Its hard with loved ones. However, living it out for almost 1 year Lindsey and I have been able to open the minds (they are actually asking good questions) of my side of the family and one of Lindseys sisters family. I never thought food and how/why/what I ate would be a often discussed topic. Ha, just found this, it could be me. I took your workshop for vegetarians a couple of months ago and made some big changes. This week I was jostling for room in the freezer, looked at the loaf of whole wheat bread I’d tucked in there back in April and realized, “I’m never going to eat that.” That plus a bin of pasta from the cupboard are going out the door! Nice to hear from you, Celeste! Glad to hear you found the workshop material helpful… and that you’re cleaning out your “pantry” too!